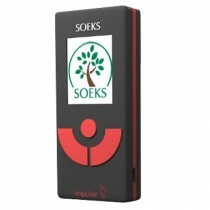 The Ecotester SOEKS is the device of tomorrow – it’s a hit! Geiger Counter + Nitrate tester with new Geiger Muller tube SBM-20-01. Measures nitrate levels in vegetables, fruits, fresh meat, and products used for children’s food! 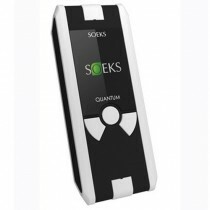 Measures radioactivity levels and detects objects, food or construction materials contaminated with radioactive elements. “Ecotester2 SOEKS” is intended for express analysis of nitrates content in fresh vegetables and fruits as well as for evaluation of level of radiation background and detection of food products, construction materials contaminated by radioactive elements. Analysis of nitrates content is made by measuring the conductivity of high-frequency alternating current in the measured product. Evaluation of radiation background is made by the amount of power of ionizing radiation (gamma rays and beta-particles) with taking into consideration x-rays. 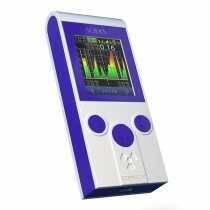 It has a sound warning every time a chemical or radiation is detected. You can easily operate and use the product without having to check the manual over and over again. With its bright TFT display, you can easily read the measurements presented on the screen. No problem in charging it as well. You can easily charge it on your car or on your computer using only a USB wire adapter. 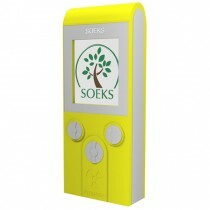 Ecotester “SOEKS” has a programmed MPC (maximum permissible concentration) for each product. 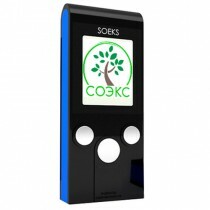 Unlike outdated devices with needle indicator in which the products were combined into groups the nitrate tester “SOEKS” is set to a specific product. As a result of measurement you will see the exact amount of nitrate content in milligrams per kilogram of the analyzed product on display, as well as recommendations on suitability for use of green, yellow or red indications. Nitrate tester is intended to evaluate (by express analysis), the quantity of nitrates in vegetables, fruits, fresh meat, and products used for children’s food. Checking the content and the amount of nitrates in the analyzed product is measured by piercing the product with the pathfinder located in the lower part of the device. 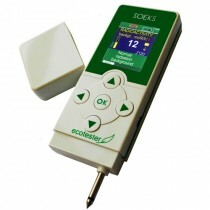 Ecotester is easy and lightweight to use everywhere. All you need is to switch the device on, choose a product from the list and get a result. Simple handling, comfortability, reliability and accuracy, all this is now available and ready to serve for you!